Ubisoft’s bestselling game now has research to back its use as a musical instructional tool. A new national study by Research Strategy Group has found that Rocksmith is the fastest way to learn how to play the guitar. The study was conducted with hundreds of participants across greater New York, Los Angeles, Chicago, and Dallas. The new research supports earlier findings from a consumer survey by Toluna Group that reported 95% of Rocksmith players say it improved their guitar skills. 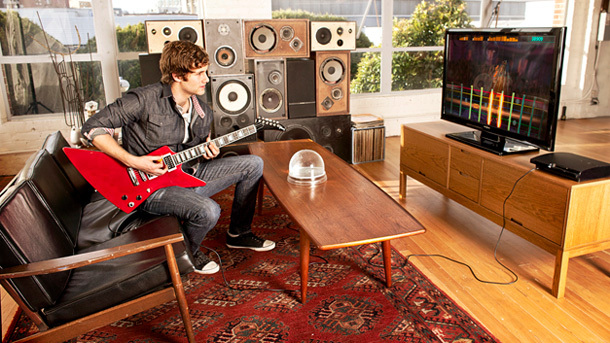 Ubisoft has sold 1.4 million copies of the Rocksmith series worldwide since its initial release in October 2011. An additional 3 million songs have been downloaded from the title’s library of 143 DLC tracks. Altogether, players have played an estimated 112 billion notes and developed an estimated 1.6 million blisters on their fingers. Ubisoft will be expanding the franchise with news at E3. Just in time to celebrate summer! Available To Everyone, the Test Will Give Players Exclusive Rewards for Participating. Based on the upcoming Far Cry 5 game!